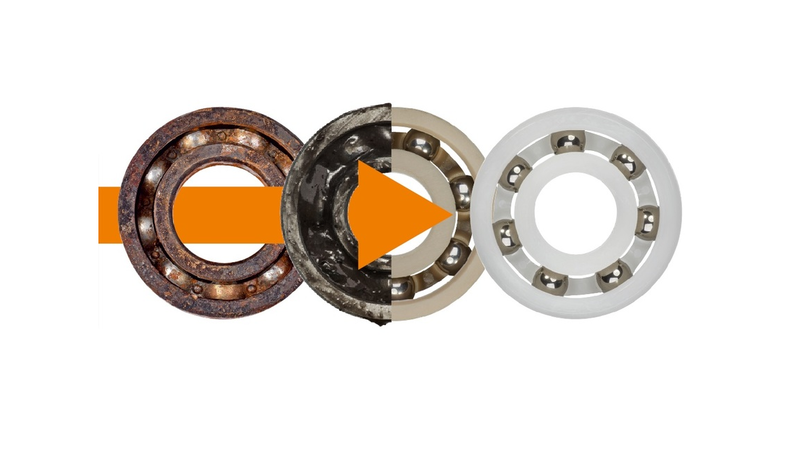 xiros® polymer ball bearings are often a better alternative to ball bearings made of metal, because they are lighter and more affordable and at the same time have a long service life. Thanks to their lubricant-free and maintenance-free operation, they can be successfully used in numerous applications. In many non-standard solutions, metal ball bearings run up against their limits and are replaced by ball bearings made of plastic.